When you think of office equipment commonly seen in the workplace today—ranging from the standard computer to the ancient fax machine and nearly everywhere in between—many of these electronics have a hard drive. Over the past five years, hard drives have become an increasingly larger target for security breaches in the workplace. In 2015 alone, data breaches numbered a whopping 781 in total, and while many came from a variety of different factors, one of the largest contributors to this number was data breaches caused by improper destruction of hard drives and other electronic media. So if you haven’t already jumped on the hard drive shredding wagon, 2016 may be as good a time as any. Between just the cost and penalties or the long-term impacts of a security breach to a business, there are reasons aplenty for ensuring that your company hard drives are being properly destroyed and shredded. In this article, we’ll outline just a few for you—in case you still need any extra convincing. Although the price of a hard drive shredding project can vary depending on your destruction method and the actual size of the project itself—in comparison to a potential data breach, the cost of shredding your hard drives is far more manageable. Take for instance the now nonexistent U.K. health service provider NHS Surrey, who in 2013 was fined $300,000 for a data breach where a hard drive containing personally identifiable information (PII) of around 3,000 patients was sold on eBay. Had this security breach occurred in the United States, NHS Surrey may have faced even larger costs, as violation of the HIPAA Omnibus Rule can result in penalties as high as $1.5 million for non-compliance with HIPAA regulations. In 2015, the IBM-sponsored Cost of Data Breach Study conducted by Ponemon Institute found that the average cost of a data breach is now approximately $3.8 million in total—a 23% increase since 2013. As the potential cost and impact of a data breach to a business becomes increasingly severe, it becomes all the more important that companies take proper steps to ensure their hard drives and electronic media are properly destroyed. In addition to the increased security and reliability of absolute destruction for old hard drives and other devices you’re planning to get rid of, the cost of shredding your hard drives will always be less expensive than a data breach or stolen identity. 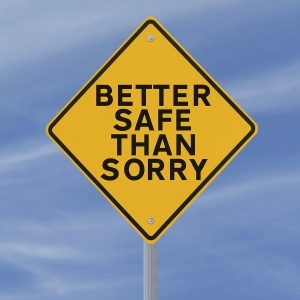 So at the end of the day, the question to ask yourself is why not be safe, rather than sorry? 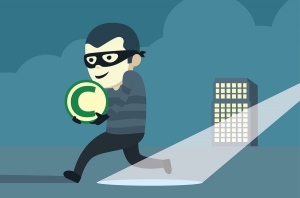 If you’ve ever thought to yourself that even in a worst case scenario, you or your business could handle the financial implication of a security lapse caused by improper hard drive shredding or destruction—think again. Affectionately referred to as the “wall of shame”, the Department of Health and Human Services compiles an ever-growing list of health industry data breaches since 2009 that have affected more than 500 individuals. Many companies have been unfortunate enough to make the list—including Affinity Health in 2010, and the Texas Health Harris Methodist Hospital Fort Worth in 2013—and all fines and penalties aside, the result of being grouped with other companies with seemingly loose security policies has had far-reaching impact. 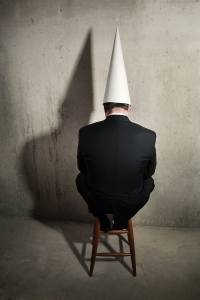 Considering these situations from a PR-perspective alone, the implications of merely mentioning your company in the same breath as the wall of shame can be quite frightening. Those in need of a healthcare provider may be hesitant to use your services, investors may become worried, or worse yet, your company may disappear altogether—as in the case of NHS Surrey. While the cost of a potential data breach or a PR-crippling news story should be reason enough to ensure your hard drives and electronic media are securely destroyed, hard drive shredding also helps to simplify your electronic media management policies. In early 2016, American health insurer Centene Corporation lost six hard drives which contained the personal health information (PHI) of insured individuals. Of the 26,000 total IT devices in the company’s overall inventory, just losing these six hard drives affected nearly one million individuals—shining a spotlight on the potential difficulty in managing a massive electronic media inventory without gaps in your defenses. As security experts repeatedly point to the issue of cost and resources necessary to handle electronic media inventories for large businesses, solutions similar to a document retention program for traditional paper become more appealing. By establishing a company-wide process for what devices are needed, how long to keep them, and then taking proper steps to shred the remaining hard drives, businesses can both minimize their security risks as well as simplify their day-to-day electronic media management policies. Get Free, No-Obligation Quotes on Hard Drive Shredding Services in Your Area! If you’re considering getting rid of any hard drives or other electronics any time soon, our hard drive shredding and destruction services ensure that all your sensitive information is securely rendered unrecoverable. All electronic media destruction specialists in Shred Nations’ network of contractors are both HIPAA and FACTA compliant, and provide Certificates of Destruction outlining where and when the hard drive was shredded to each of our customers upon completion of service. Whether it means conveniently coming to you with our mobile shredding services, or shipping your hard drives and devices to our secure offsite shredding facilities to be destroyed, our services can handle nearly any project. To get started on your hard drive shredding project, just give us a call at (800) 747-3365, or just fill out the form to your right to request free quotes today! Retiring Old Office Equipment: This article outlines a few of the many reasons to take the proper steps to destroy old office equipment and electronics, ranging from compliance with destruction laws, to simply avoiding the implications of identity theft or security breaches. 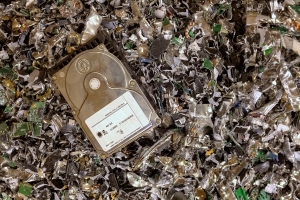 Electronic Media Destruction & Hard Drive Shredding: An overview of the importance of hard drive and electronic media destruction, with various articles covering topics from hard drive shredding and electronics recycling, all the way to finding and removing data from office equipment. A Guide to Proper Data and Document Destruction: Beside newly emerging ways to store and manage your documents and information, new technology brings new ways to ensure that your information is being properly destroyed. This guide to proper document and data destruction from Shred Nations helps to outline modern document storage methods, and the best practices for destroying and shredding your information as well.